To be able to change your browband as you like, we thought about a quick system using clips. Without disassemble the bridle, you can, in only 15 seconds, match your browband to how you feel, your saddle pad, your clothes, even once the bridle is on. 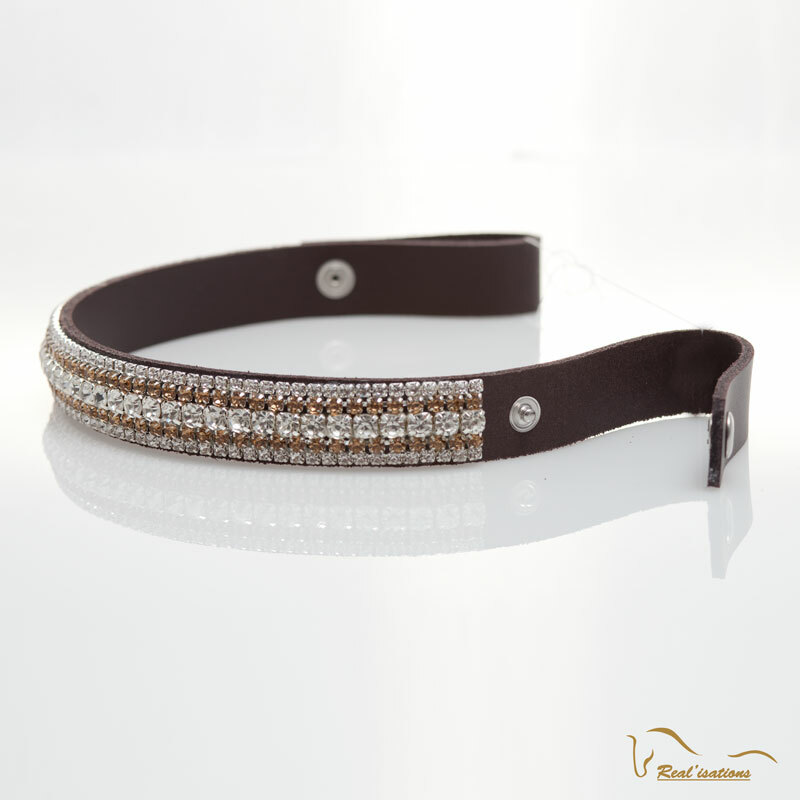 Being able to remove and put back easily our browband is also an advantage to thread the fly-veil: no more twisted ears. Clips instead of sewn cheekpieces ? This is what inspired Real'isations. Every Real'isations browband has some (except when mentioned).